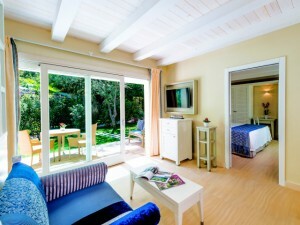 Most people have heard of Forte Village as it has been on the luxury holiday radar for many years. We did have the image in our minds of a very traditional resort which is pricey and even maybe a little bit clique. 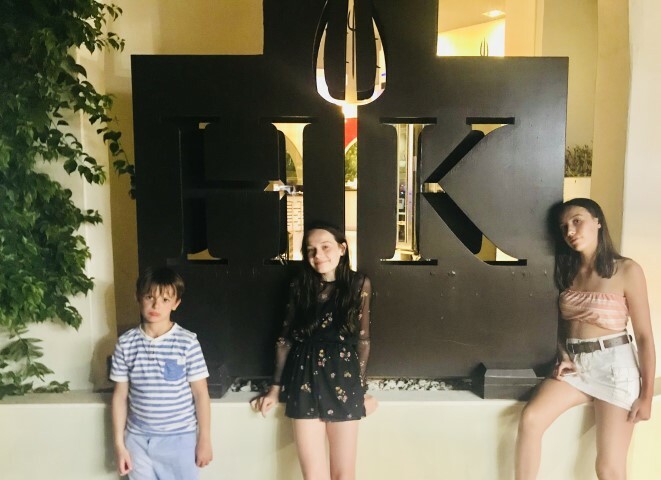 However we had very high hopes for the food and the activities on offer as we set off in August as a family of five which now included a often ‘bored’ teenager of 13, a hard customer to please! It’s only a two hour and forty minute flight away which is a massive bonus and flights (low-cost flights anyway) tend to be more reasonable than other Mediterranean destinations. The first impression we had when rocked up is how green and spacious the resort is, with centuries old grounds that are filled with towering pines and stunningly maintained gardens, despite its size we were pleased to discover how easily accessible everything was from the central path with nothing in the resort more than a eight minute walk. Bikes can be hired and children tend to travel around the resort on them happily (no cars are allowed in the complex) meeting up with their friends they have met. Arriving after midnight the hotel still had a buzz about it and this is clearly a resort that does not go completely quiet after 10pm but it is cleverly designed enough to not hear a sound after retiring at night to your room. 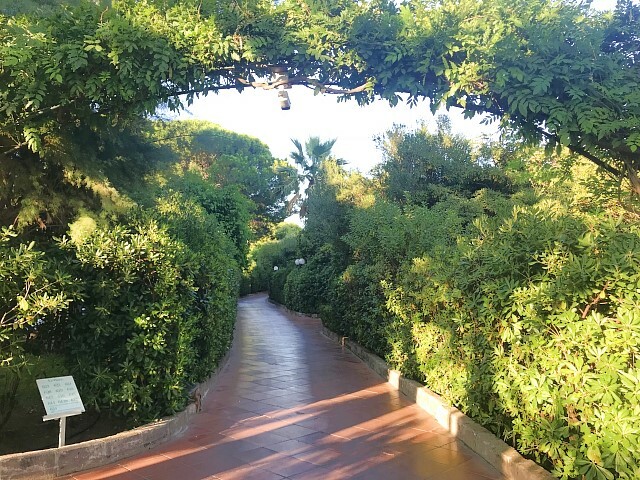 We were staying in two interconnecting Family Deluxe Rooms in the five-star Hotel Pineta, which is a charming collection of first and second floor dwellings (on the ground floor rooms open out into a little terrace with a small area of grass). 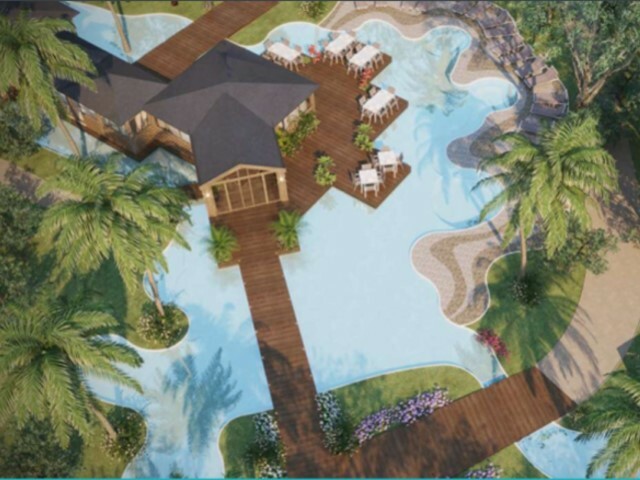 Pineta rooms have access to a personalised concierge, separate area for breakfast and for this year we’ve very excited that Pineta will have its own brand new pool area just for them. We saw most of the different room categories while we there, of which there are many. 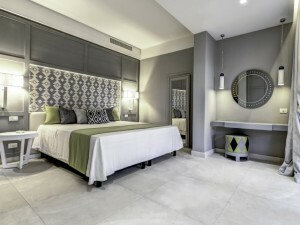 The whole resort has recently been refurbished with all rooms now sporting fresh modern decor. Most of the rooms are bungalow-style and delightfully tucked away in a green canopy of trees. We preferred the bungalow-style accommodation as this is what makes Forte truly unique. 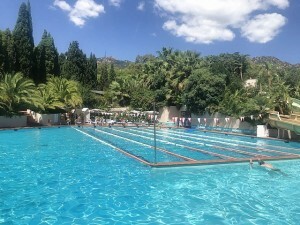 The entry-level four star Deluxe Family Bungalows in Hotel Bouganville are great value for money as you can enjoy many of the facilities that the resort has to offer but for a reasonable price. Families of four enjoy a bedroom with children sleeping on a sofa bed in the lounge separated by a sliding door. 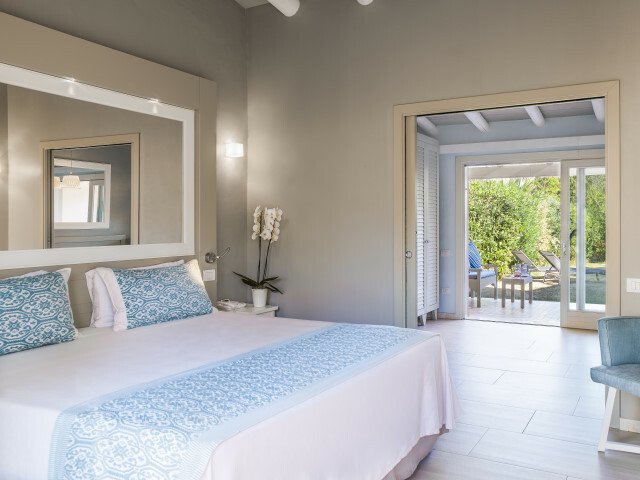 Next category up is the four star Le Palme, Deluxe Family Bungalow which is simply in an area where the buildings are less crowded together giving you more space (for about £600 more a week in high season) which we would recommend. Five star Pineta is our top accommodation choice for families if you have more budget. Breakfast is in a separate area, you enjoy a dedicated concierge team, new this year is a dedicated pool and you have access to better restaurants on your Half Board. If you want to be active from dawn til dusk this is definitely the place for you. The beach is stunning with stretches of pale sand and some of the clearest, bluest sea I have seen outside of the Carribean. If you like sports there are better academies here than anywhere else in Europe. From football and boxing to dance and netball, the academies are taught by Olympians and professional sports heroes such as Chelsea Soccer School, Will Greenwood (Rubgy), Pat Cash (Tennis), Ian Sailsbury (Cricket) and Karen Atkinson (Netball). Our 11-year daughter did the Dance Academy and absolutely loved it. You can have five days of around two and half hour’s training/ match slots (approx 550 euros total) or an hour one to one (approx. 120 euros). 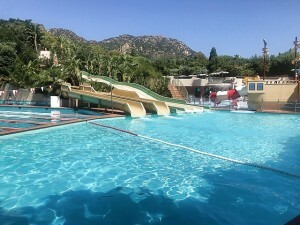 Our children aged 13, 11 and 7 really enjoyed the complimentary water park which has two large tunnel slides and then a row of bumpy slides plus a splash park for younger children and toddlers. Leisureland is an area at the top of resort (5 minutes walk from the central area) with a bowling alley (10 euros per person for an hour), a go kart track and a nightclub in the evenings. 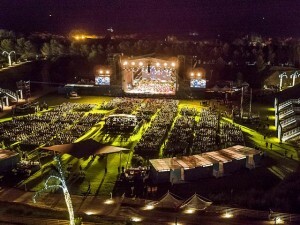 This is also where the Forte Arena is situated which is literally a full almost stadium size concert area with stars like Sting, Tom Jones, Musicals like Mamma Mia and Opera Nights – a must visit in high season. 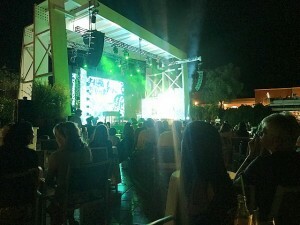 During the evenings after 9pm in central area of the Piazza are complimentary daily evening shows with tables with waiter service featuring live bands, dancers and entertainment shows which the children (and we) loved. 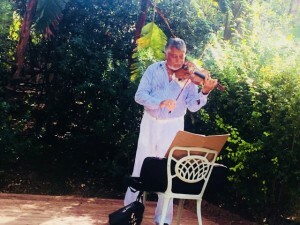 We adored the live music at the resort often during breakfast and dinner you are unexpectedly entertained by wandering musicians such lovely classical violin or popular guitar music and bands. Also worth a mention is the teens club which is one of the best we have experienced. 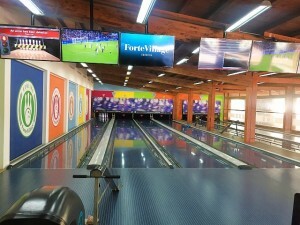 Teens are recruited into the club (run by young adults employed at Forte) by other children their own age and speaking the same language and quickly meet friends, even better they enjoy special privelages like free soft drinks at lunch, complimentary water sports and bowling etc. which are all extended to them. Our 13 year old daughter didn’t want to go at first and then didn’t want to do anything else, we had to coax her back to have lunch with us! The children’s club and village is also fantastic. 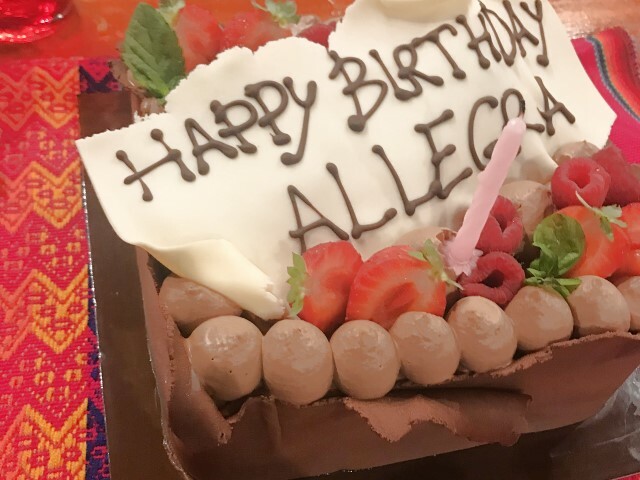 Our daughter turned 12 while we were there and what a birthday she had. 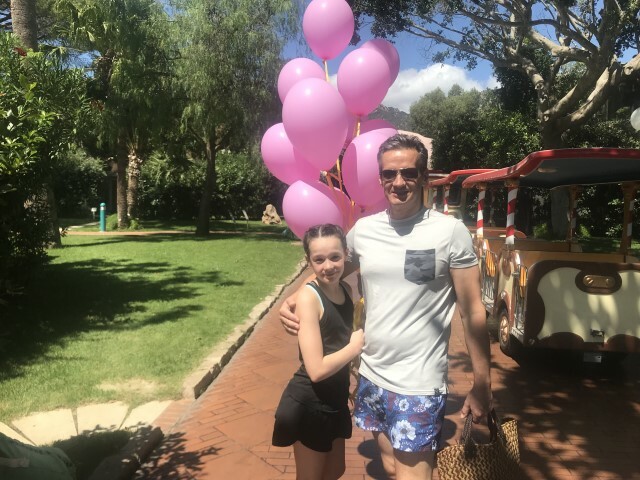 At Dance Academy she was presented with 12 pink balloons one for every year (arranged by the hotel with no involvement by us), a bottle of non-alcoholic fizz was bought to our room with a birthday card and at dinner the band duo sang her Happy Birthday and she was presented with a large personalised chocolate cake. She still talks about it now and one of the reasons we are going back is so she can celebrate this year’s birthday there. Forte is very good at creating unforgettable memories. Many people believe Forte is very expensive and it certainly can be but it’s also excellent value for money if you are considered in what you do. For a start your evening meal is included as standard as part of your room rate so it’s only if you dine in the top restaurants, which charge a large supplement that it can mount up considerably. 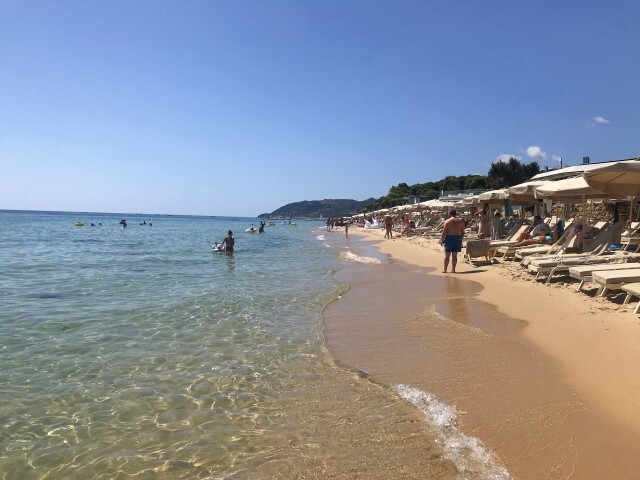 We enjoyed lunch at the Pizzeria which has huge delicious pizzas (about 12 Euros each) which the children loved and you can order these to takeaway and share either to the beach, pool or back to your room which our children enjoyed doing. One of my favourite meals was in the Pineta restaurant buffet (included in your Half Board rate) which is in a lovely garden setting. It was fantastic with a live music band, delicious Italian food (different themes every night) and also white wine and water is included on your table. We said we preferred red wine and another bottle was just brought to us in addition to the wine we already had so they do not seem to police the half bottle of wine per person rule that much! Another top tip is the morning you arrive go down to your reception and say hello to the team there. 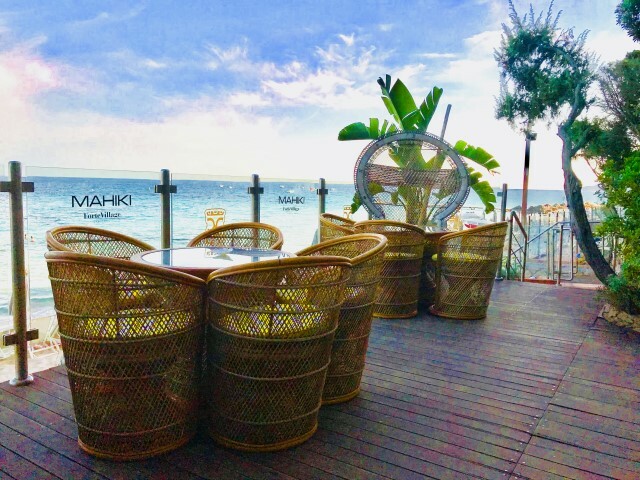 The staff are brilliant and very informative and will make sure you get the most of your holiday from booking restaurants and showing you menus to arranging a late check-out or giving you Internet codes. It really helps you get to grips with the resort and allows to relax without you having to organise anything yourself. 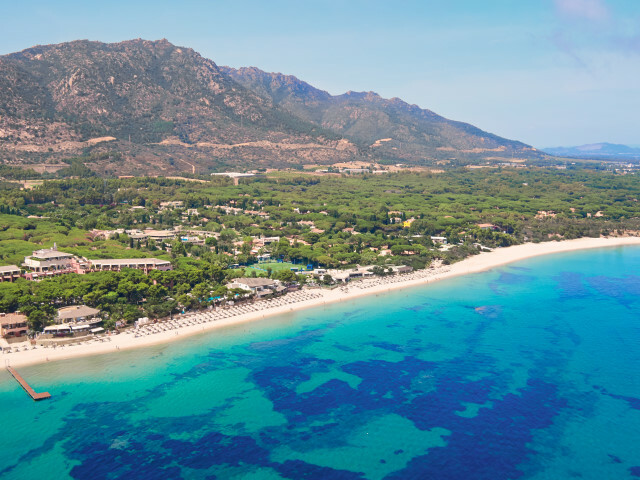 Forte can have some amazing offers on in early July and mid-August onwards saving a whopping third off your holiday if you are a family with two adults and two children under 12 sharing one room. We loved lunch at the fish restaurant overlooking the sea with fantastic food and a chilled ambience ( the seafood is pricey here however). One of our favourite parts of the day was coming off the beach and having early evening drinks with live chilled dj music in the very stylish Mahiki bar from the same people behind the notorious Mayfair club (famous as the favourite haunt of celebrities including Princes William and Harry, Lady Gaga and Kate Moss) with the same name. It’s also open late if you still want a drink and some music after midnight. In the evenings we would recommend Sardo, sardinian specialties in a refined setting or Hell’s Kitchen which served a European with a innovative twist just right for our children as it is gourmet but in a relaxed fashion. For a truly special night enjoy absolutely top Michelin-starred dining in La Terrazza San Domenico with Chef Massimiliano Mascia, of San Domenico di Imola (be prepared to spend big though). Be sure to speak to our team to ask which restaurants are included for you and what is available this year as restaurants do tend to change from year to year and season to season. We are tricky to please but we enjoyed Forte so much we are going back this year with all the children clamouring to take part in an Academy (Football, Netball and Dance) and the children’s clubs. Who knows for the first time in many years my husband might get some guilt-free time to ourselves. 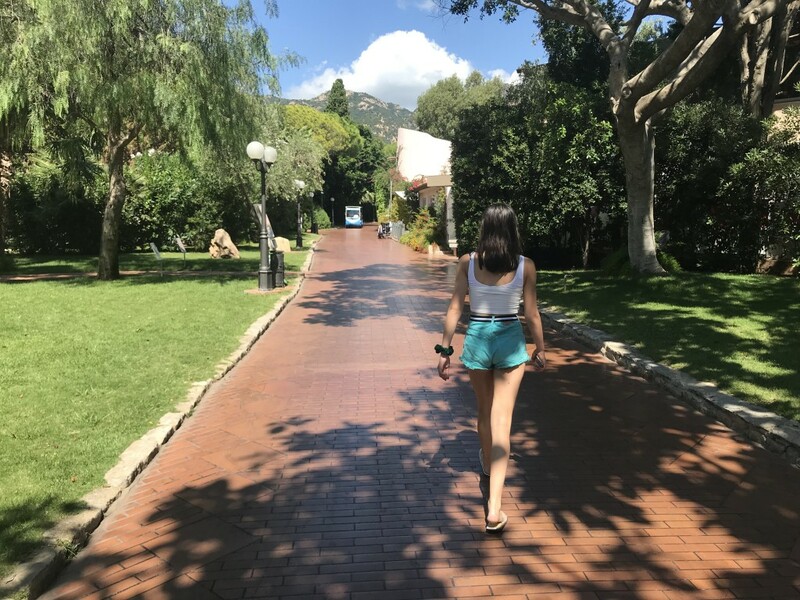 We loved the magical, care-free atmosphere that the resort manages to conjure up making you feel you are shut-away-from-the-world and life’s stresses and strains and your children can roam around within its gated complex with an independence they can’t enjoy in many places in the world anymore.